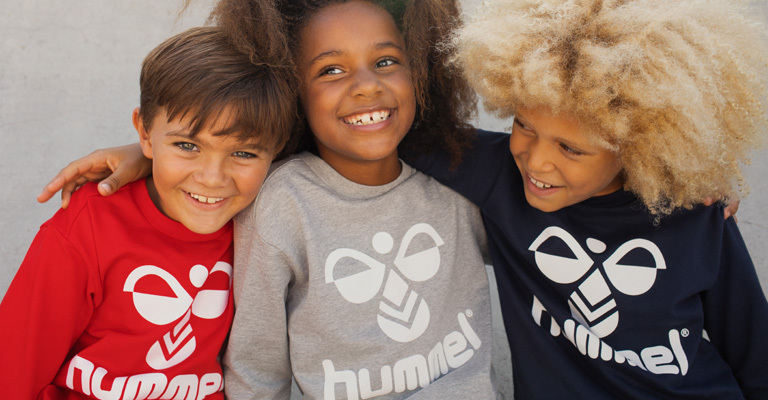 Hummel is one of the most popular brands for children between 0 and 16 years. The Danish brand has over 90 years of experience in the production of technical sportswear, which shows in its focus on functionality, comfort and quality. The result is then combined with bright colours to create designs that all children like. Hummel’s new spring collection is full of bright colours and pastels decorated with the characteristic angles, bumblebees or other fashionable prints. We go out of our way to offer you the very best from the sporty world of Hummel. As member of our Hummel VIP Club, you receive special offers and inside knowledge about the brand directly from the designers and product developers of Hummel.